Welcome to the Quality Assurance Unit (QAU) page of Shinas College of Technology (ShCT)! 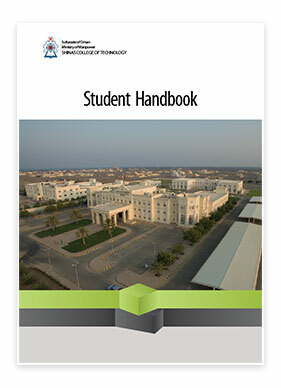 We are pleased to present the key information and announcement regarding the QA processes, various Department/Centers’ committees and their areas of operation, college policies, activities, and procedures to streamline the work of the college as well as the useful links and resources related to the Quality Assurance. The QAU actively supports in achieving General Foundation Program Audit (GFPA) by involving the General Foundation Program Unit (GFPU) through the implementation of policies and procedures in the four (4) areas of GFPA standards. Similarly, the QAU proactively supports the attainment of national accreditation standards set by Oman Academic Accreditation Authority (OAAA). QA is an integral part of our day-to-day life. Thus, it has been our commitment to cultivate a culture of teamwork that will give us the strength to realize our vision and achieve our goals. We are trying to provide all possible resources to our staff in order to improve the quality of their efforts based on the alignment of core values stated in the ShCT Strategic Plan. Our policies as well as mechanisms reflect our values of accepting constructive suggestions for developing and improving the quality of education in the college. Finally, aiming to attain the quest of excellence, the QAU bears the slogan, “Quality is our Priority!” We welcome valuable comments and suggestions for improving the overall quality of our systems and processes. ShCT’s quality framework is based on the ADRI model (Approach-Deployment-Results-Improvement) and aims at continuous improvement through the self-study process. All entities and activities are reviewed based on the ADRI cycle. 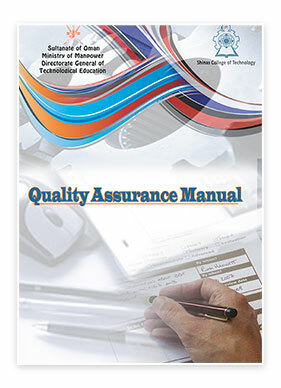 The College has customized the Quality Assurance Manual (QAM) provided by the Quality Assurance Department (QAD) of the Ministry of Manpower. The College has an internal Quality Assurance Unit (QAU) to oversee the implementation of quality assurance systems guided by the QAD in fulfilling the national requirements. ShCT started its self-study process from academic year 2006-2007 under the guidance and support of the Quality Assurance Department of the Ministry of Manpower. The College constituted 8 working groups with membership of staff from various departments and centers. The College staff were trained on the ADRI model for self-study and review. To carry out the self assessment, the groups used various data collection tools including surveys. The results of the self-assessment were analyzed for continuous improvement in the College and compiled in the form of reports. These reports were periodically submitted to the QAD for review and feedback.